Australia has been full of beautiful flowers. One in particular was something we’ve never seen before, but very common along the woodland coast, in fact everywhere we went in New South Wales and Queensland. 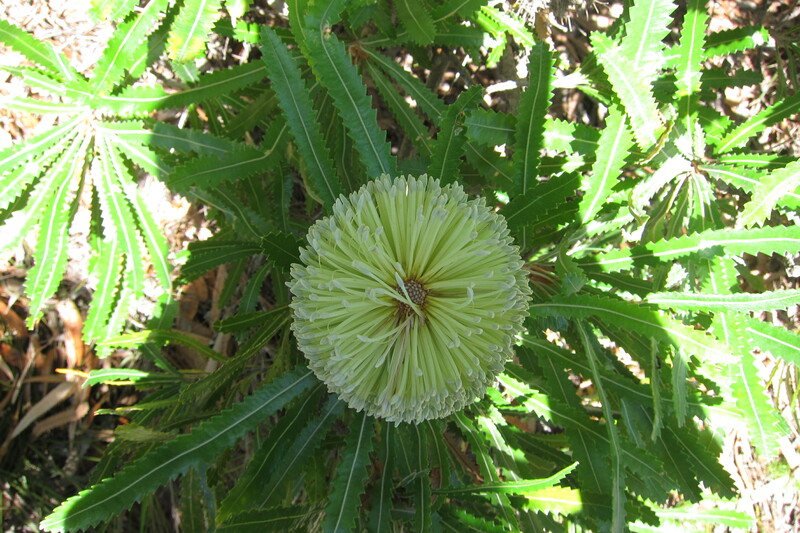 It’s the banksia. From the top it looks a bit like a dahlia or chrysanthemum. Not a flower in a garden; it’s actually growing on a tree and has a very elongated flower. From the side it looks like a toilet bowl brush. Rainbow lorikeets like to roost on its branches. 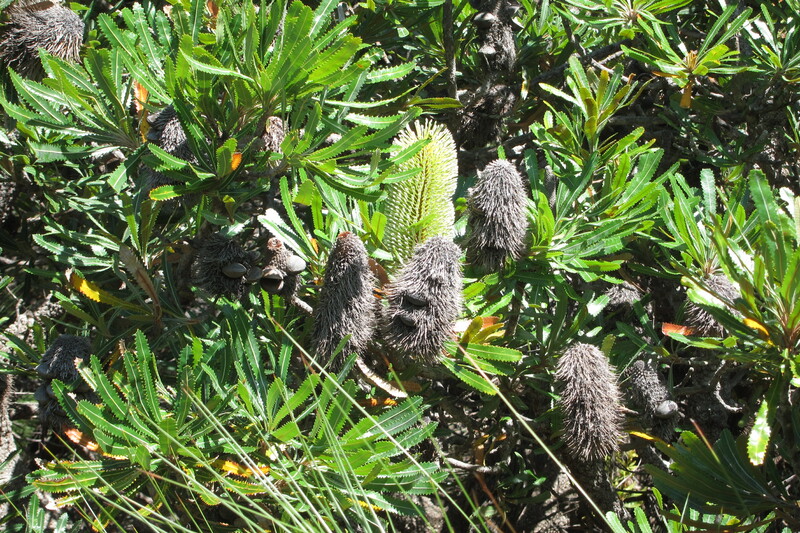 After the flowering season, the blossoms become odd-looking masses of rough growth with hard seedpods. 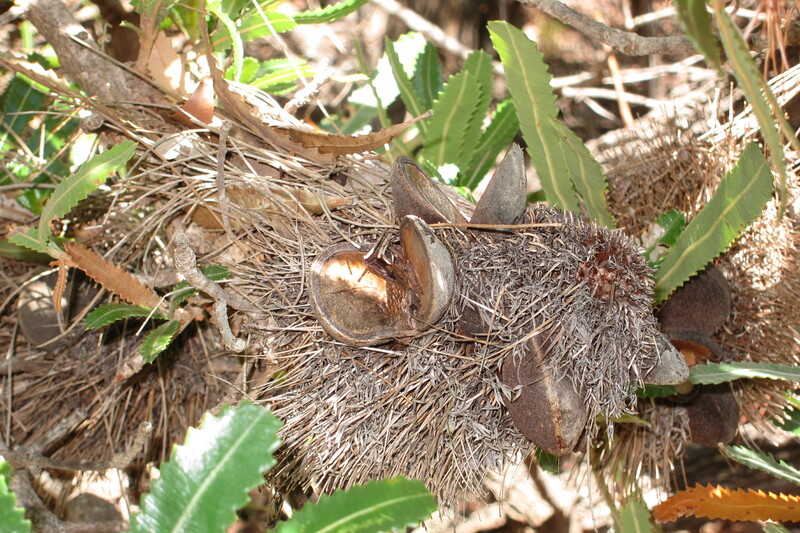 The pods open and drop seeds to the ground. 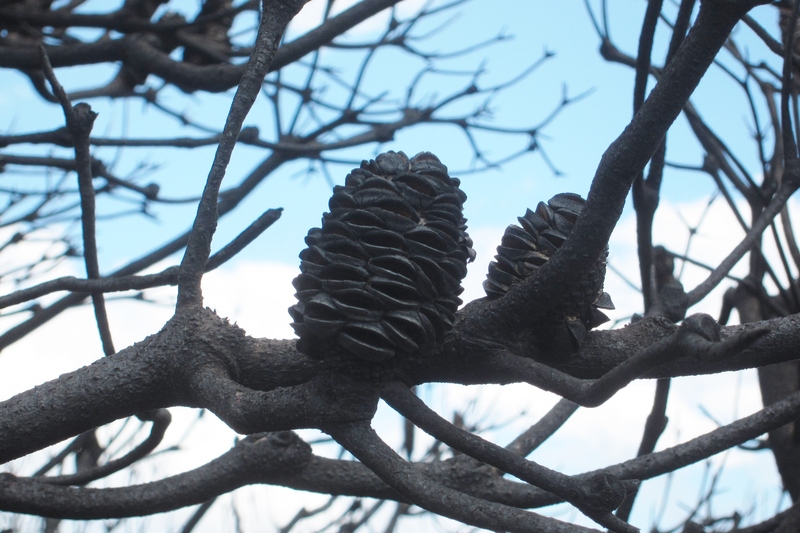 The propagation must be successful; these trees are everywhere. Such a contrast to the pretty yellow flower. This is what is ultimately left in the tree, an odd-looking piece of wood. Do they have a usefulness? Yes! The wood is very porous. 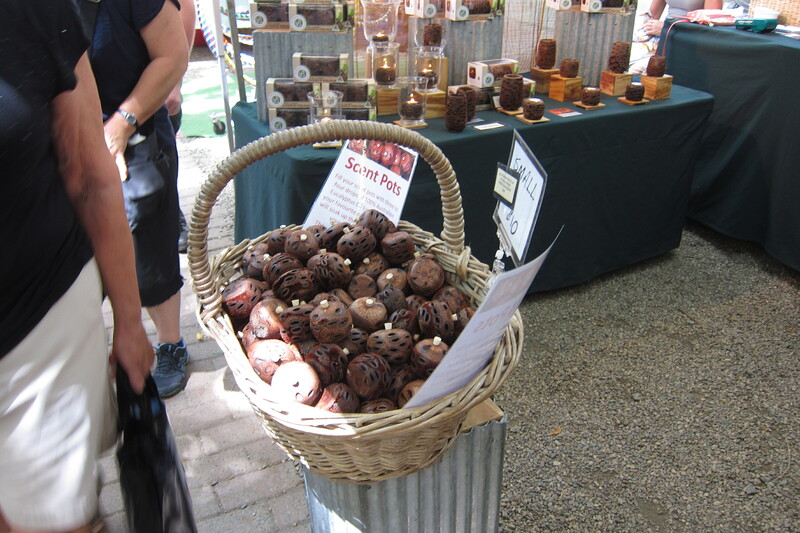 You can buy banksia scent pots, candle holders, and coasters made from the seed pods. 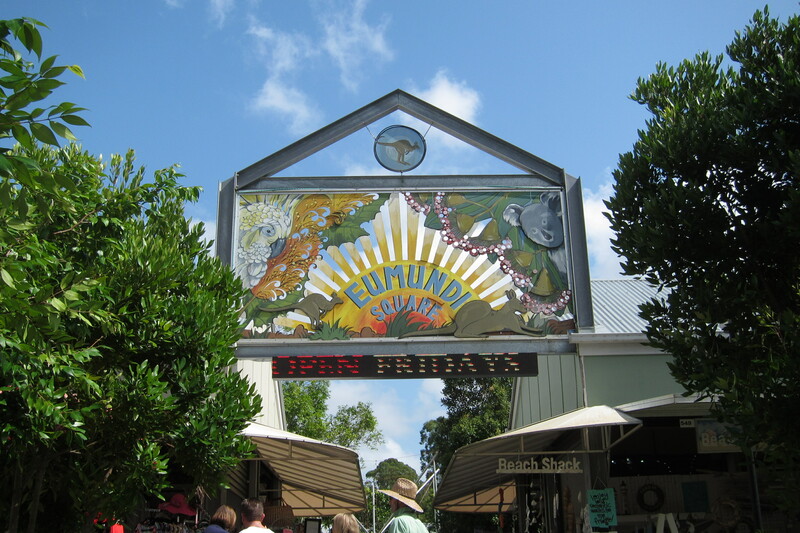 We enjoyed the Eumundi market, like the Windmill in Penn Yan with numerous artisans and eating spots, but MUCH bigger. A good slogan for an artisans’ market. 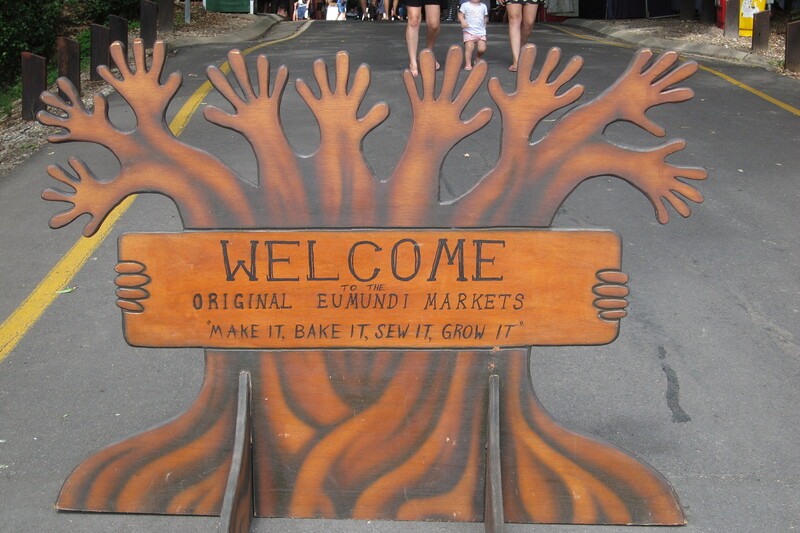 This entry was posted in Smell the Roses and tagged Australia, banksia, Eumundi Market, flower. Bookmark the permalink.